If you’re looking for the Wednesday Wandering, page back for a look into accents… Then come back and join Alan and me in our chat about some really explosive novels. star with a starring role in the “Lord of the Rings” movies. It got me thinking about other SF/F stories where an earthquake or exploding volcano is crucial to the plot. ALAN: I can think of several, but first I’d like to go off on a tangent… I thought of this after last week’s chat. The volcano chain in the centre of the North Island culminates off shore on a small and *very* active place called White Island. The Department of Geological And Nuclear Sciences (GNS) maintains a webcam there to keep an eye on the activity. Periodically scientists from GNS also visit the island to measure this and that. In 2004 one of them glued a pink plastic dinosaur to a stone on the left of the field of view of the webcam. He quickly became known as Dino and his fame spread far and wide throughout the world. Hits on the webcam went through the roof! Once Dino fell over, and GNS were inundated with emails about it. They had to go and rescue him. Recently the camera has been moved, and Dino now sits on the right of the field of view. JANE: When I started thinking about geothermal SF/F, I remembered that one of my earliest short stories – never published – featured as background a New York City where the fault that runs along the Harlem/Hudson River system had destroyed most of the area. I knew about this because one of the mysterious buildings on the Fordham University Rose Hill campus (which I attended) was a former seismic recording station. It hadn’t been in use for years because the vibrations from the subways confused the signals. When the East Coast of the U.S. was hit earlier this year with an earthquake, I wasn’t at all surprised because I knew there was an active fault. ALAN: Do you remember the Mount Tarawera eruption I mentioned last time? Alan Dean Foster has written an absolutely stunning novel about it. The book is called Maori. It seems that Foster spent his honeymoon in New Zealand which is when he did the basic research. Being an SF writer he couldn’t resist injecting some mysticism into the story – there might be moas, and a major character is a rather creepy kaumatua (Maori elder). It’s a wonderful novel. The sections that describe the eruption itself are brilliantly written and truly scary. JANE: I haven’t read that one, but we may have a copy. Either way, Maori is now on my reading list! Okay. Here’s another. Walter Jon Williams’ novel The Rift is centered around the aftermath of a quake along the New Madrid fault. It’s more than a disaster novel because there are some interesting alternate history elements as well. ALAN: Speaking of alternate history, Harry Turtledove has written a novel called Supervolcano: Eruption in which an eruption in Yellowstone National Park devastates the region. I’ve not read the book, but I assume from the blurb that it follows several groups of characters through an “after the disaster” scenario. These kinds of books were very fashionable in the 1950s and 1960s but they seem to have fallen out of fashion of late. Perhaps they are due for a resurgence. JANE: I think the disaster novel has become a sub-section of techno-thrillers, but I’m not sure. Steve (S.M.) Stirling’s popular “Change” series could be looked at as a sort of after the disaster set-up. He’s managed to get double mileage out of one disaster there. But back to volcanoes and earthquakes. ALAN: Suits me. By a strange coincidence, Frederik Pohl’s latest novel All The Lives He Led also mentions a huge eruption in Yellowstone National Park, though in Pohl’s novel it happened some time in the past and it has completely disrupted the American economy. The viewpoint character is an American refugee desperately looking for work in Europe. Oh! Did you ever talk to Vonda McIntyre when she was out there with us in 1995 about the aftermath of the Mount St. Helens explosion? She was so eloquent about what it was like to wake up and find the world covered in ash that I’ve remembered it ever since. I wonder if she’s ever done anything with that in fiction? ALAN: I certainly remember Vonda’s very vivid description of the eruption but I don’t recall seeing anything about it in any of her stories. 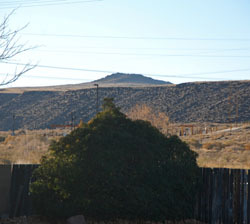 JANE: Other than mentioning that my “Albuquerque Adept” short story “Hell’s Bane” uses the volcanic terrain near my home in an interesting fashion, I’m out of ideas. Maybe someone else can make some suggestions… Earthquakes? Volcanoes? Tsunamis, anyone? This entry was posted on January 12, 2012 at 1:00 am and is filed under Thursday Tangents. You can follow any responses to this entry through the RSS 2.0 feed. You can leave a response, or trackback from your own site. One of John Varley’s Eight Worlds tstories had a tstarring role for a tsunami. Well, sort of a tsunami – does it still count if the wave is caused by a large chunk of the ceiling collapsing? I thought of one more after Alan and I finished chatting. Tim Power’s _Earthquake Weather_. I’m really surprised, what with all the SF/F writers in California that we aren’t coming up with more. The last full scale eruptions was the Lave Creek eruptions that blew about one thousand cubic kilometers of material out and left a roughly 180m layer of material over nearly half the United States. http://en.wikipedia.org/wiki/Lava_Creek_Tuff and that isn’t even the biggest the hotspot has achieved! The floor of the valley moves on average 12mm a year up and down due to the varying pressure in the magma chamber under the park. It also averages between 1000 to 2000 earthquakes a year though most of them are very small. Events in a couple of the recent Godstalker books are rather heavily influenced by a volcanic eruption; the background of Brandon Sanderson’s Mistborn is dominated by ongoing volcanic activity – to the point where stories about green plants are regarded as myths; Anderson’s The Dancer from Atlantis is set against the impending eruption of Thera, athough that doesn’t happen in the story. umm… I know there’s more than that. Will have to think about it. As for Yellowstone, take what you heard from Vonda MacIntyre and imagine the worst of it applied to an area extending frmo Edmonton to Phoenix and from Sacramento to Cincinnati. That’s the area potentially at risk from amaximum-effort eruption at Yellowstone. Hi. The Yellowstone ‘super volcano’ is a potential disaster of Biblical magnitude. If it blows open in a major event, it could end up burying most of North America under a thick layer of ash.